Did you hear the story of the Johnstone twins (as like each other as two new pins)? The emotional rollercoaster that is Blood Brothers comes to Darlington Civic Theatre from Monday 24th until Saturday 29th November. It follows two lads separated at birth, who become friends, unaware of each other’s identity. Their story takes us from playtimes in the cobbled streets of 1960s Liverpool (the same actors play the pre-teen and adult Johnstones), right through to the 80s, where unemployment is rife, and things are not quite so idyllic. Written by Willy Russell, the show is one of only three musicals to surpass 10,000 performances in the West End. You heard right – it’s a musical, but not in the traditional sense; there are no jazz hands or annoying show tunes here. Even if you’ve never seen it, you’ll have heard some of the songs – Bright New Day, Marilyn Monroe and massive hit Tell Me It’s Not True. Maureen Nolan (of Nolan Sisters fame – who sold more hit records in Japan than the Beatles, fact fans), returns as tormented Scouse matriarch Mrs Johnstone, following huge acclaim at Newcastle’s Theatre Royal last year. The curtains open to a flash-forward to the very final scene – we know how the story ends but not just not how it reaches its emotionally charged climax. 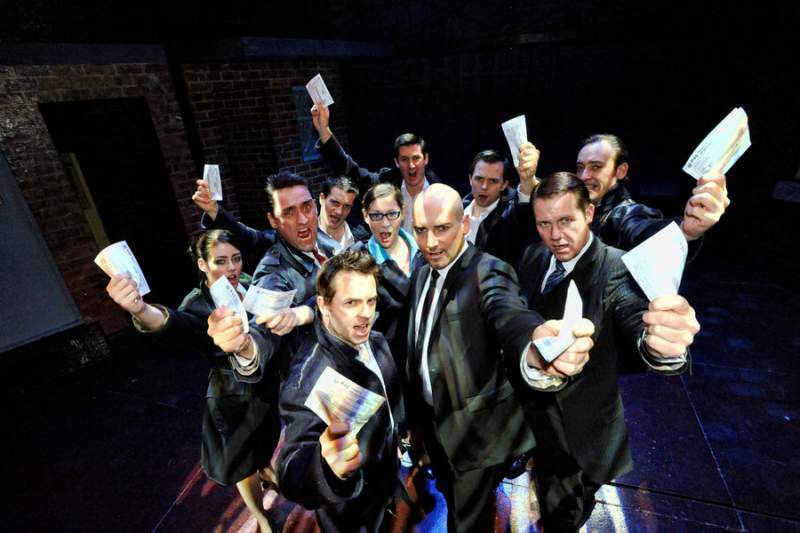 Blood Brothers runs at Darlington Civic Theatre from Monday 24th– Saturday 29th November.